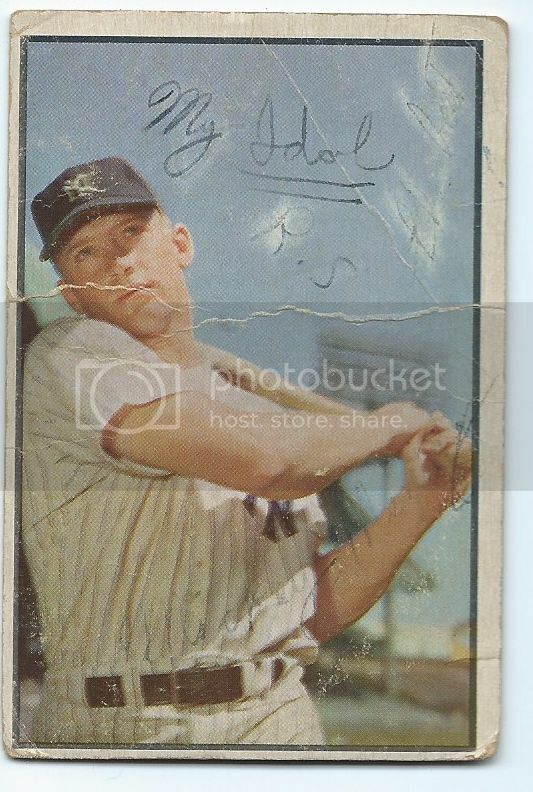 I think the King of Post War cards deserves his own pick up/ show off thread. Mantle cards are white hot and I want a place to go to see Mantles exclusively. Post them as you get them, or if you just want to show off...that's great too. I'll start the thread with this beauty which arrived today.53 is the next 52. Last edited by Leon; 05-10-2016 at 09:29 PM. Been posted many times, but it doesn't take much to entice me to post it again. Last edited by irv; 04-05-2017 at 02:57 PM. Last edited by tjenkins; 05-10-2016 at 08:14 PM. Because seven topics about Mantle on the front page wasn't enough. Building these sets: T206, 1953 Bowman Color, 1975 Topps. Great transactions with: piedmont150, Cardboard Junkie, z28jd, t206blogcom, tinkertoeverstochance, trobba, Texxxx, marcdelpercio, t206hound, zachs, tolstoi, IronHorse 2130, AndyG09, BBT206, jtschantz, lug-nut, leaflover, Abravefan11, mpemulis, btcarfagno, BlueSky, and Frankbmd. Last edited by the 'stache; 05-10-2016 at 10:02 PM. A couple you don't see every day. Last edited by ullmandds; 05-11-2016 at 07:33 AM. Twist my arm . . .
You've piqued my interest. 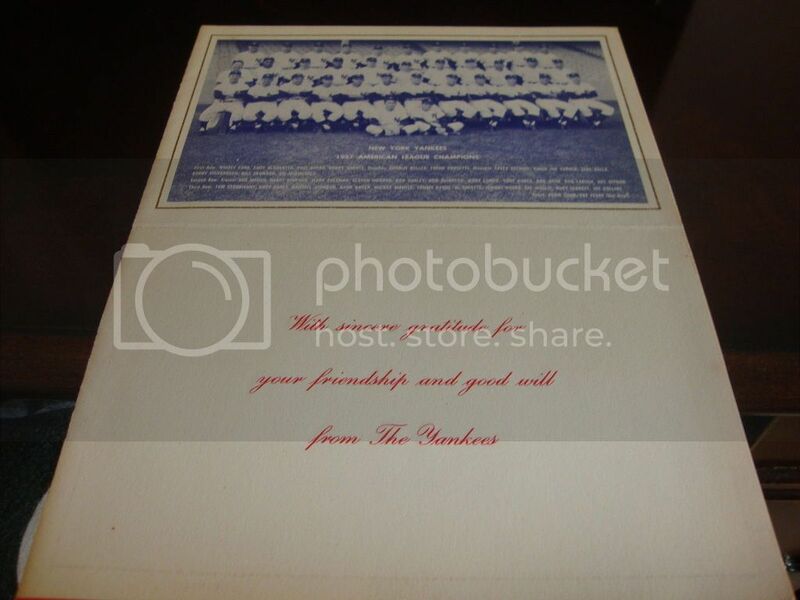 What did you get the '62 Mantle for? That is one year of his cards that I believe to be undervalued. Nice eye appeal on the 2.5 Bowman Mantle. I hope that isn't a pen mark on the Mick's forehead on the 62 ? looks like pen to me. No it's on all of them. Thanks. I haven't owned a 62 in a LONG time. Twenty plus years ago this beauty was in the showcase of a since closed up shop here in Jacksonville. Cost me $30 and a 1988 Score baseball factory set. Last edited by begsu1013; 08-22-2016 at 09:11 PM. You have some absolutely insane stuff. Isn't belonging to this site for addicts like all of us, like an alcoholic living next door to a liquor store? My goal as an auctioneer was to have the card in hand look exactly the same as on the screen. I remember adjusting a few settings so they would come out that way when the lucky winner viewed them in hand. This looks as good or better in hand. 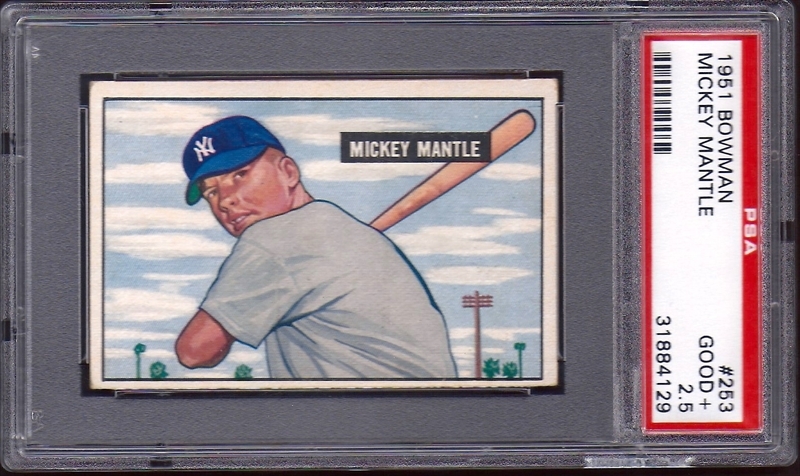 When I first got into collecting again, as a 30 something, I had a PSA 6 1951 Mantle and eventually sold it when I went backward, time-wise, into pre-war. This card probably has better eye appeal, the crease not withstanding than that first one. Last edited by Leon; 05-11-2016 at 01:26 PM. That Mantle rookie looks better than MANY sixes and sevens. Centered and registered. Savvy pickup, sir. Yep, that's a really nice card! 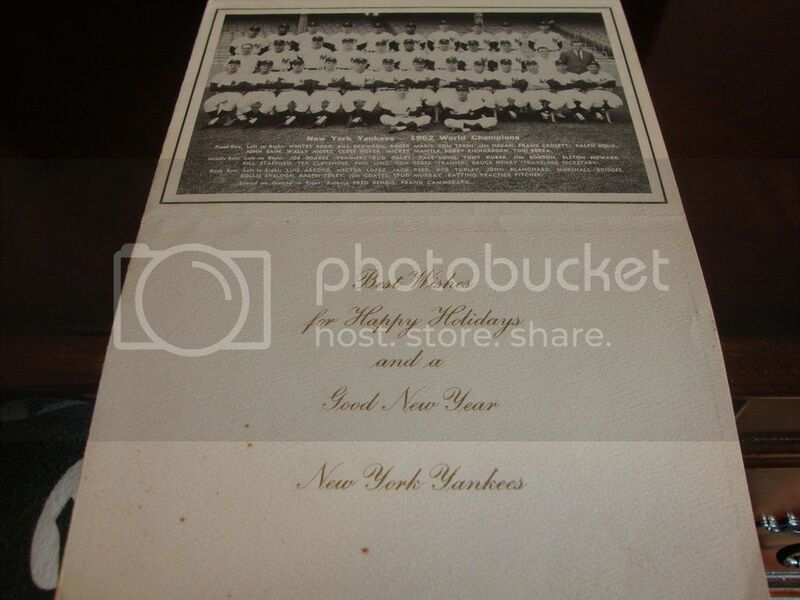 I'm getting dizzy from that autographed 52 mantle. Insane card Bob! Leon that rookie is so fresh and so clean. Not is the race for the nicest card in this thread. But this is a card I've wanted for a long time. IT's the club to be in these days!!!! Funny Of all the Cobbs, Ruths I've owned and/or currently own...my last 2 mantle acquisitions put one of the biggest smiles on my face of any of them. Last edited by begsu1013; 08-22-2016 at 09:12 PM. That statement is actually very telling. Remember 80-90s stock guru, Peter Lynch's strategy.... Buy companies that make you happy. I too get silly when I get a Mantle. The 51B and 52T are recent additions. I've always felt the 51B was very underappreciated. why don't all you pre war guys go back to the other side and quit gobbling up all the nice 51 mantles? @Bob: Your just killing it bro!!!! My newest addition is so I can have some eye candy at the local shows I will be doing. It isn't for sale now but eventually will have a price on it which will indicate I want it in my case more than I want to sell it. I have always liked his true rookie. That is a great looking 56! Mike I love the switch hitter connects! Gives all of mantles stats and is very undervalued imo. On of my Mantle Favorites :-) great cards guys !! god I had like 6 or 7 of those giant 64 topps mantles when I was a kid...all long gone!!!! Awesome '51's and '52's fellas. Unfortunately I can't join that club. But I'm loving these two. Big fan of the 54 Dan-Dee. Beautiful card. Love the dandee!! As a kid I had a 57 through 69 mantle as well as many all-star cards and group cards. Truth is I spend most of my time on the vintage side but I am a closet 50s and 60s collector too. I will post some of my other mantles later . Sweet Dan dee. Great looking 4.5.
more my style(condition) of modern collecting. Last edited by Bestdj777; 05-11-2016 at 09:06 PM. i hope someone gets a nice Heritage pickup. Here's an Ebay win from a couple months ago.